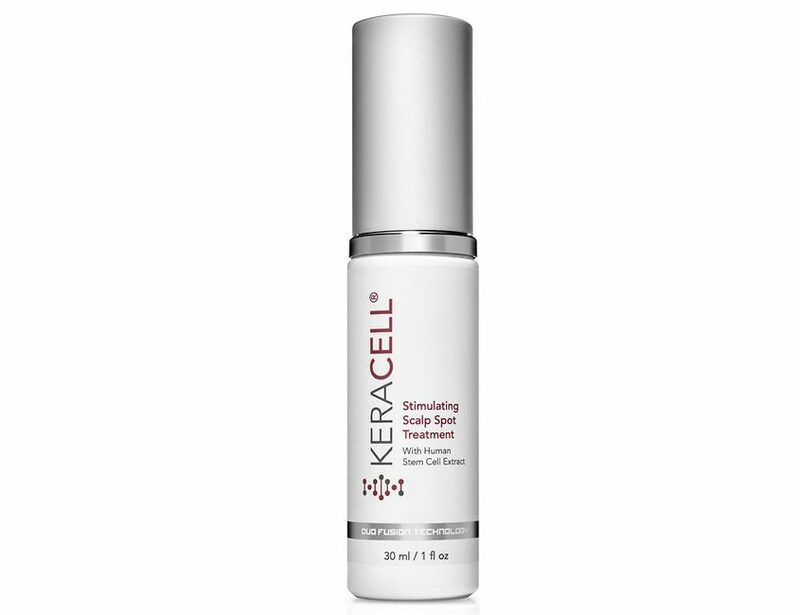 KERACELL® Stimulating Scalp Spot Treatment targets hair loss, scalp and follicle regeneration is for both men and women. This innovative formula contains MHCsc technology with proteins, peptides and growth factors with a known signaling effect on keratinocytes. This easy-to-use targeted solution for bald spots and receding hair line, also contains Capixyl™, Redensyl® and Baicapil™, some of the world’s most remarkable anti-hair loss ingredients. This combination of clinically tested ingredients helps to nourish and condition the scalp, coax hair follicles out of the dormant phase, reduce inflammation and helps block DHT to reduce hormone related hair loss. Deionized Water, Conditioned Stem Cell Media, Butylene Glycol, Dextran, Acetyl Tetrapeptide-3, Trifolium Pratense (Clover) Flower Extract, Glycerin, Sodium Metabisulfite, Glycine, Larix Europaea Wood Extract, Zinc Chloride, Camellia Sinensis Leaf Extract, Propanediol, Arginine, Lactic Acid, Glycine Soja (Soybean) Germ Extract, Triticum Vulgare (Wheat) Germ Extract, Scutellaria Baicalensis Root Extract, Vibrio Alginolyticus Ferment Filtrate, Panthenol, Sodium Acrylates Copolymer, Lecithin, Menthol, Sodium Citrate, Citric Acid, Ethylhexylglycerin, Caprylyl Glycol, Mentha Piperita (Peppermint) Leaf Oil, Citrus Grandis (Pink Grapefruit) Peel Oil. Apply two to three pumps of treatment gel to damp or dry scalp. Massage into scalp in circular motions, concentrating product on bald spots. Allow to dry then, follow with your normal hair styling routine. For best results, use twice daily.